What if your work demands that you live in the UK but your family is back home in Chandigarh? What if you are in the UK for an extended period of time and your family requires your support? The answer to questions like these is all the same: approach UK Visa consultants in Chandigarh for a PBS dependents Visa. The PBS dependents visa is the entry clearance required to bring anyone that depends on you to the UK to live with you while you are there on any one of the Points Based System (PBS) Visas. It enables families to be together. The UK offers opportunities for people across the world and numerous citizens from across India to choose to make their ambitions come true by working in the UK. However, the next question to be asked is: what about my family? If you move to the UK for better prospects, who should take care of your family? The answer is simple: bring your family or anyone who depends on you to the UK to live with you. It doesn’t matter if you are on a Tier 2 Work Visa or a Tier 1 Entrepreneur Visa, as long as you are in the UK for official purposes, you are entitled to bring the people who are dependent on you with you. You do not have to worry about leaving your children, or your wife, or your old mother back home in Chandigarh alone. 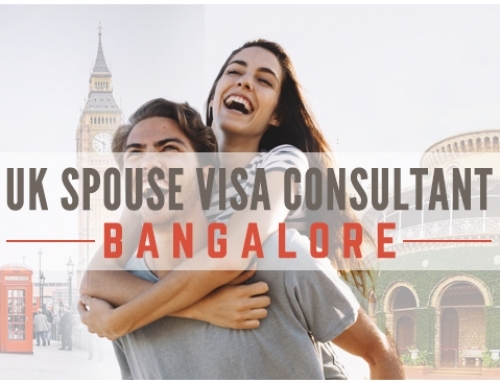 All you have to do is trust our UK Visa consultants in Chandigarh to guide you through the entire UK PBS dependents visa process and you will be guaranteed to have your family live side by side with you in the United Kingdom. The SmartMove2UK is a reputed visa consultancy and immigration law firm that has been in the UK immigration business for more than 10 years. We have clients from across the world who have trusted us and have had their trust rewarded. We guarantee a no win, no fee promise. The reason we can make such assurances is that we have had a 99% success rate from the time of our inception till today, pretty much guaranteeing that if you choose to apply for your UK Visa with our firm’s assistance, you will have your visa in your hand. We have our presence across India including UK PBS Dependents Visa consultants in Chandigarh itself. So you do not have to go far. Think about what’s best for you and your family. Life in the UK is amazing, but it would be even better, with your family by your side. Think UK PBS dependents Visas, Think The SmartMove2UK.